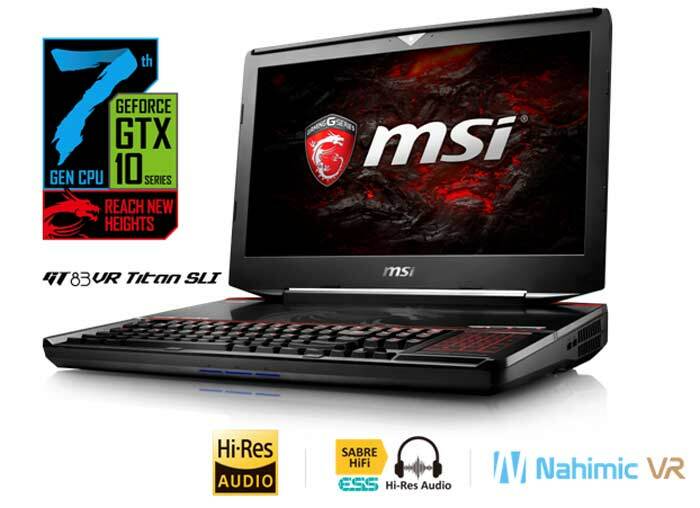 MSI has launched a total of 16 newly refreshed gaming laptops. Predictably, the refresh is mainly precipitated by the firm's fleet of gaming laptops getting upgrades from 6th generation (Skylake) to 7th generation (Kaby Lake) Intel Core processors. However there is more, as some of the machines that aren't already equipped with Nvidia GTX 10 series GPUs are now making the move. This timing fits in with Nvidia making the GTX 1050 and 1050 Ti available for mobile computers. Updated today are the MSI GT83VR, GT73VR, GT72VR, GT62VR, GS73VR, GS63VR, GS43VR, GE72VR, GE62VR, GP62VR, GP72VR, GP62MVR, GP72/GP62 and GL72/GL62 series. One of MSI's key claims with its latest slew of gaming laptops is that the new machines "narrow the gaps between gaming laptops and gaming desktops to essentially none". Considering the CPU performance first, MSI claims that Intel's 7th Gen CPUs benefit end users by the up to 8 per cent faster in CPU bound tasks, up to 10 per cent faster multimedia operations, and up to 15 per cent better performance when playing back 4K video. 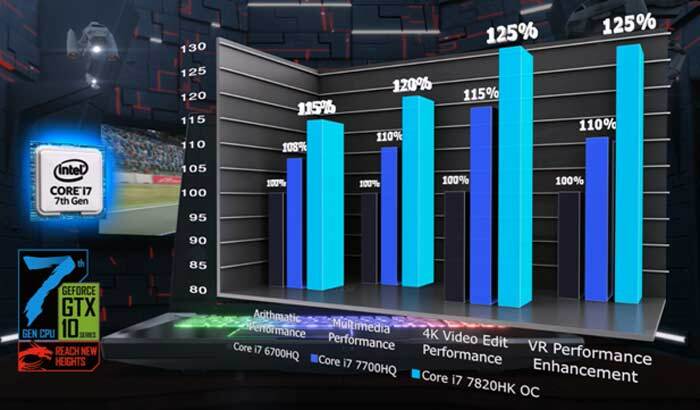 MSI also asserts some significant VR performance uplifts thanks to Intel's newest processors as you can see illustrated by the false bottomed graph below. Nvidia's latest GPUs play a part in uplifting the performance of these new gaming laptops too. While some of the range might already have been updated to Skylake and a higher end GTX 10 series GPUs earlier in the year, MSI has now equipped these Pascal architecture GPUs across the entirety of its gaming laptop offerings, as the Nvidia GeForce GTX 1050 & GTX1050 Ti have become available. MSI quotes the GTX 1050, for example as offering 15 per cent higher performance compared to the GTX 965M - but it will be replacing previously GTX 960M specced models with the GTX 1050, for even greater gains. Above we talked about processing and graphics power but that's not all there is. Among the upgrades MSI also says it has polished up the built-in audio with an ESS SABRE Hi-Fi audio DAC to make them Hi-Res audio ready. Nahimic VR is supported too, with its gaming and multimedia profiles and EQ presets. MSI says the newly updated laptops will be available early this year, from your usual stockists. Imagine if you'd only just purchased the 6700hq (Example GT62VR) at the vastly inflated price (UK) then these hit. But the thickness does not seem to be small enough. It would serve you right for being so dumb as to pay £2k for a laptop. Am I “dumb” for spending £1600 on a laptop as well? No. Perhaps if it was made by Apple I would agree, but it's not, so I would disagree. I got what I paid for; a high-end portable workstation that's still holds its own now (3 1/2 years later). If you're happy with a £300 crapper, that's fine, but I wouldn't call you “dumb”, you're buying for your requirements. Question guys. 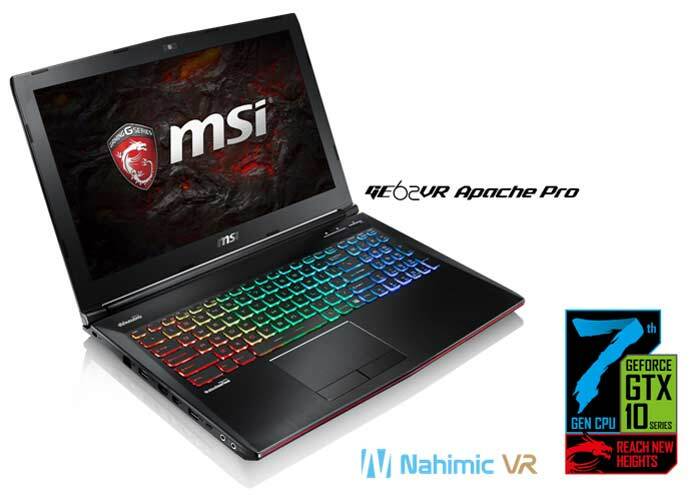 If I buy a 15 or 17 inch gsync gaming laptop like this with a 1080p ips panel, is the picture quality going to be worse, same or better than a 24 or 27 inch 1080p monitor that's sitting further away from me than the laptop? And if anyone's bought a current generation laptop in the top MSI or Asus ranges, can you please describe the gaming experience compared to normal desktops? Especially how's the laptop keyboard compared to cherry keyboards by Logitech, Razer and others?